This is 9 Inch Special Forces Machete. 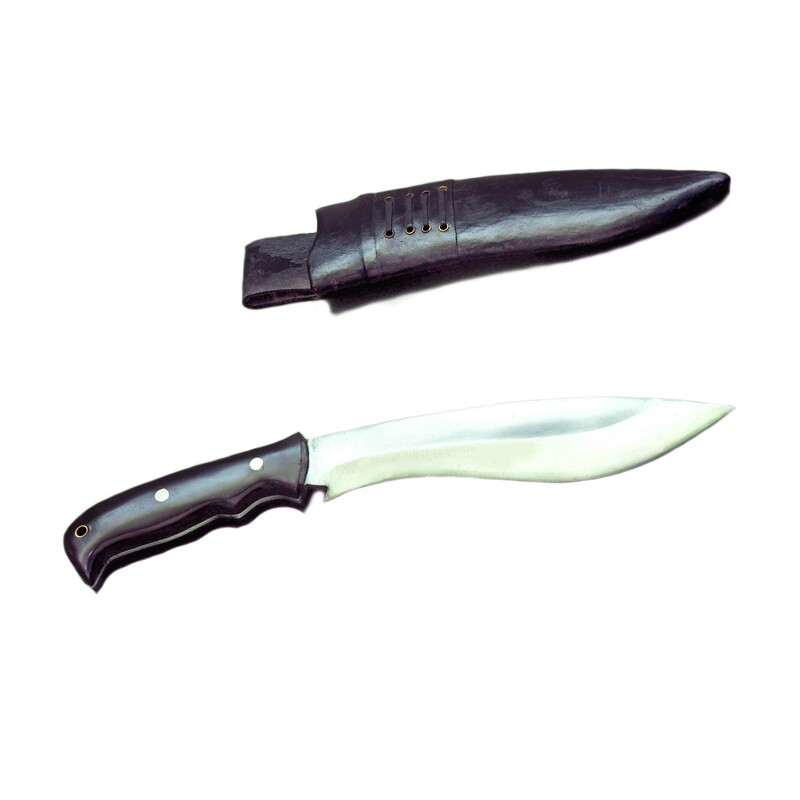 Special Forces Machete Combat Knife is designed for survival and for Military Combat Equipment. Survival Knife redesigned for Military Tactical Combat use. 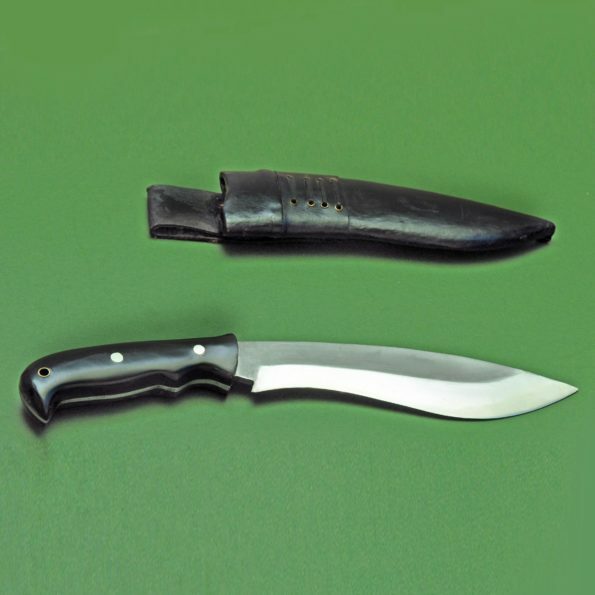 The Tracker Knife is a tool that performs multiple functions. Each area of the knife is made to execute several functions with ease. This is with blocker gripper handle so very easy to work. 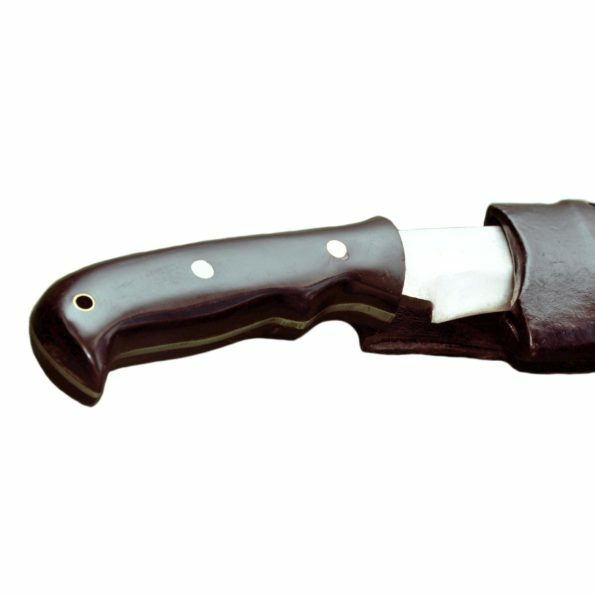 It is an extremely versatile and useful knife. Blade Size and Type: 9 inch and Unpolished blade. Handle Size: 5 inch and Full tang blade. Hardness of Steel: spine:22-25 RC, belly:45-46 RC, edge:54-55 RC. Material Used: Highly Graded Carbon Steel(car & jeep leaf spring,5160) for blade. Water buffalo Leather for the Scabbard(outside), water buffalo horn for the handle, Pinewood for Scabbard(inside), Brass and Laha (Nepali Traditional Glue). Weight: 657 gms. ( 23 Oz Approx).